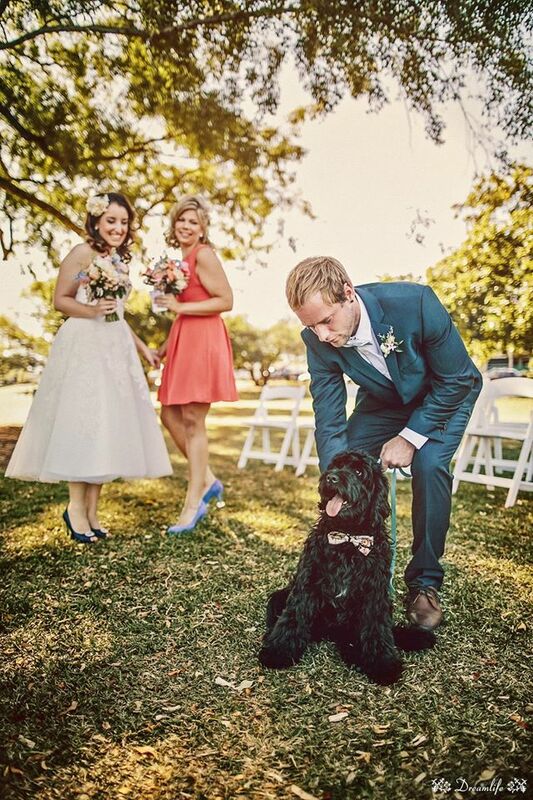 Needless to say dog loving Celebrant Jamie Eastgate of Brisbane City Celebrants loved being a part of this Orleigh Park wedding with the couples dog Diego playing the very important role of ring bearer for the happy couple. We were at a complete loss when it came time to decide on a location for our wedding. While we really liked the greenery of the hinterland, we really wanted somewhere close to the city. Orleigh Park provided the perfect setting with massive trees framing the river setting and just 10 minutes from the city. We couldn’t have asked for a more perfect and relaxed setting. It was really important for us to have the reception as close as possible to the ceremony. 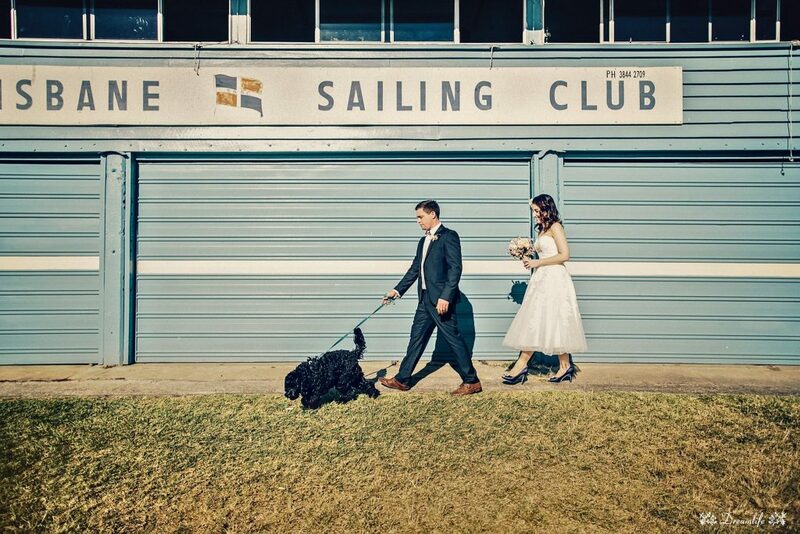 The boat hall was in a great location – right on the river and next to our wedding ceremony location, Orleigh Park. The inside of the hall provided so much character and provided a lovely setting with the windows opened to make the most of the river views. The best thing about the hall is that we were able to do everything the way we wanted. While it was a bit more work decorating and organising catering, alcohol and the rest, it was definitely worth it! Neither of us are very traditional which can be a bit of an issue when organising a wedding. So when we started planning we decided not to do anything that made us uncomfortable (the first dance, bouquet throwing and garter toss all ended up getting scrapped). We loved being able to surprise everyone by making our day uniquely ‘us’. It was great having a relaxed wedding where there was no pressure, instead the focus was on celebrating with family and friends. When it came to planning the ceremony, we really didn’t have a clue what we were meant to do. The only thing we were certain of is that we wanted it to be personalised and short. Jamie was great in helping two absolutely clueless (and slightly stressed) newbies create the perfect ceremony. 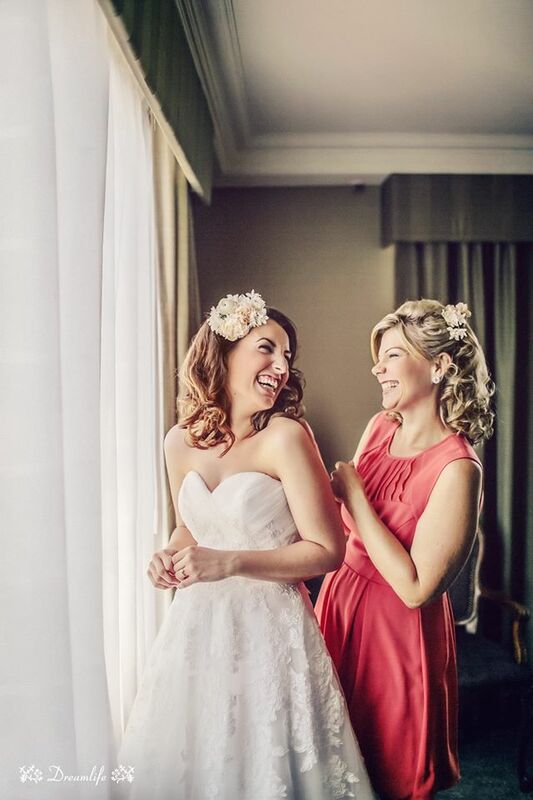 Jamie, thank you for all your help in making our wedding day perfect. We were so pleased to be able to do everything our way and I can honestly say ours was the best wedding I have been to so far! You really helped to take some of the stress out of the day, it was great knowing that everything was taken care of for the ceremony and all we had to do was show up – which was nerve-racking enough! Don’t let anyone pressure you in to doing what doesn’t feel right. It’s also very easy to keep pushing out the budget. We decided to make budgeting easier by spending the most money on things that would be seen in our wedding photos later on. The rest of those smaller details (while nice) probably won’t be remembered by your guests when they go home. 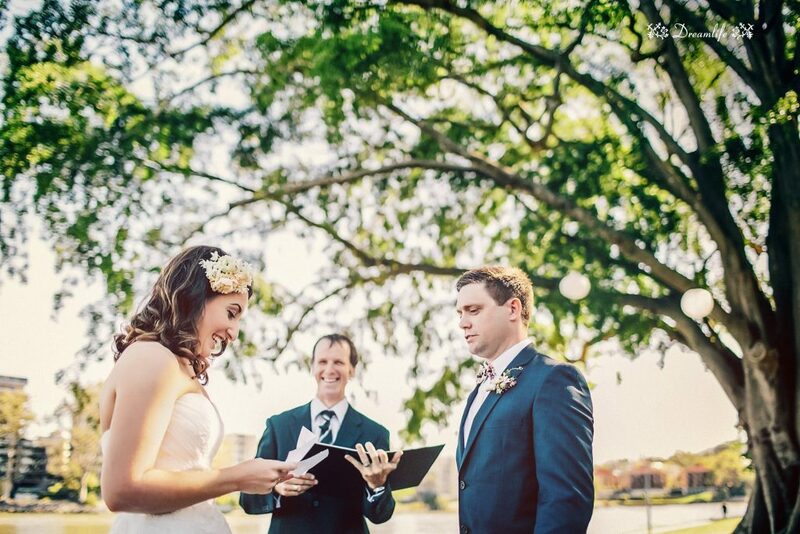 If you enjoyed this real wedding with Jamie Eastgate at Orleigh Park and are looking for a Celebrant for your Brisbane wedding Jamie would love to hear from you. 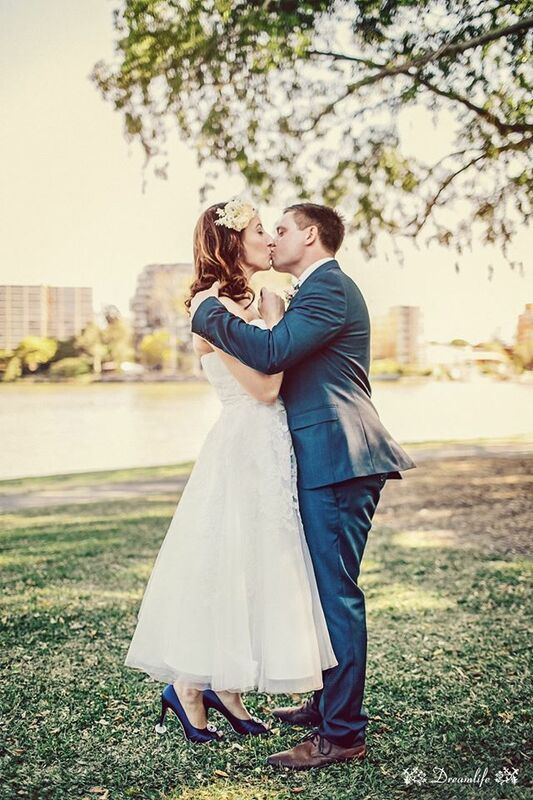 Contact Brisbane City Celebrants now to confirm availability for your special day.